After five decades of war, one uneasy peace. How will Colombia move forward? Saturday, January 27th, 2018. An explosive thrown from a motorcycle kills five police officers and injures at least 40 others at a police station in Barranquilla, Colombia. Another attack later that night kills two police officers in a rural area in Bolívar, followed by a morning bombing on another police station in Barranquilla. This string of killings is the latest in Colombia's half-century-long armed conflict, despite the peace deal signed last year. What has that deal accomplished? Colombia's peace deal with its largest rebel group, the Revolutionary Armed Forces of Colombia (FARC), has seen a notable increase in violence since its enactment. Although most of the FARC has demobilized, a multitude of left-wing guerillas, right-wing paramilitaries, and organized criminal organizations have moved in to take over the FARC's share of the lucrative illicit drug trade. The coca business in Colombia is thriving despite marked improvements since Pablo Escobar's era. The legacy he left behind is alive and well, surviving in political and apolitical criminal drug trafficking organizations. The peace deal with the FARC came at a high cost for the government (and the taxpayer). Although the government forces had the upper hand on the battlefield during negotiations, the rebel leaders were able to negotiate a monthly stipend for their troops, political legitimacy for the party, and amnesty for past crimes, war crimes, and atrocities. As a result of the high financial toll, the peace deal was accompanied by sweeping tax reform. Ordinary Colombians, already suffering from economic hardship, now have to swallow a significant increase in their taxes to support the high cost of "peace" while violence continues on the streets. The attacks in Barranquilla were claimed by a division of the ELN, the other major guerilla group. Although the Colombian president has suspended the ongoing talks with the ELN in Ecuador, it's possible that the attacks are a way of strengthening their hand in order to get a better deal. We saw a similar event while the FARC was in talks with the government. It could be a forceful push to get a deal signed and put an end to the violence, but it may backfire on the ELN. The government is unlikely to give a deal as good as last year's peace agreement with the FARC, and the ELN may hold out and continue the violence until it does. It's currently unknown what the government and the ELN have been discussing in Ecuador, so there's no way to tell if the attack is backlash against an unceded clause in a potential deal. Colombia's future is uncertain. The cost of peace agreements and the number of armed groups make large-scale peace untenable. For now, the Colombian government should continue to enforce its laws and prevent illegal armed groups from controlling people, territory, and the lucrative drug trade. Expansion of governmental control and economic development in rural areas will be the most successful long-term plan for peace, eliminating motivations for joining armed militias. But the increase in government presence isn't enough - the tallest hurdle ahead of Colombia will be to ameliorate the government's perceived legitimacy through anti-corruption measures. The current level of corruption will only serve to legitimize the rebel groups' grievances. Politics aside, the Colombian people are ready for peace. Medellin, once the home of Pablo Escobar's cartel and the most dangerous city in the world, now thrives economically and attracts expats from around the world. Truth and reconciliation efforts aim to shed light on atrocities committed during the decades-long war, as a way of recognizing wrongdoing and moving forward into a new era of peace. The most important task will be for the Colombian people to hold their government accountable and act in the best interests of its citizens. As neighbouring Venezuela breaks down, it's important for Colombians to realize the power they have in their democratic rights. Political apathy and cynical attitudes towards corrupt politicians will hamper future success in the country. Education and awareness among the younger generations is essential to vaccinate the country from future bloodshed. Narco culture is admired by too much of the youngest generation. It's the duty of parents, teachers, and society as a whole to educate these kids about their national history. They must understand how many people were affected, why these atrocities were committed, and how to stop them from happening again. "Those who cannot remember the past are condemned to repeat it." 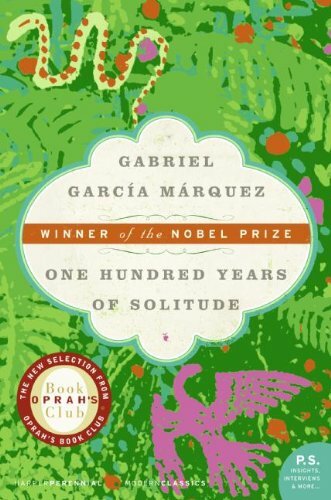 Today's book recommendation is Gabriel Garcia Marquez's One Hundred Years of Solitude. Jan 27 Where will ISIS go after Iraq and Syria?